In a clock-in, clock-out world there are things like career paths or management training programs that provide talented, high-potential individuals diverse experiences designed to help them progress towards a particular target job. At the end of the experience, assuming the individual does well, they gain the position they were targeting from the beginning. Knowing what the path ahead of us looks like allows us to focus on the now while still anticipating and preparing for what comes next. In order to get the same kind of clear path as a Scentsy Consultant, the obvious place to start is with the Scentsy Compensation Plan. The Comp Plan tells us rank is next, how we are paid at the next rank, and what key metrics we need to hit in order to achieve that rank. And that’s actually really great – knowing exactly what I need to do to make more money AND the fact that it is the same path for everyone – is awesome. But beyond that baseline info, we have a lot of Consultants wondering where their focus should be at each rank in order to make the most of their current rank AND how to promote to the next. 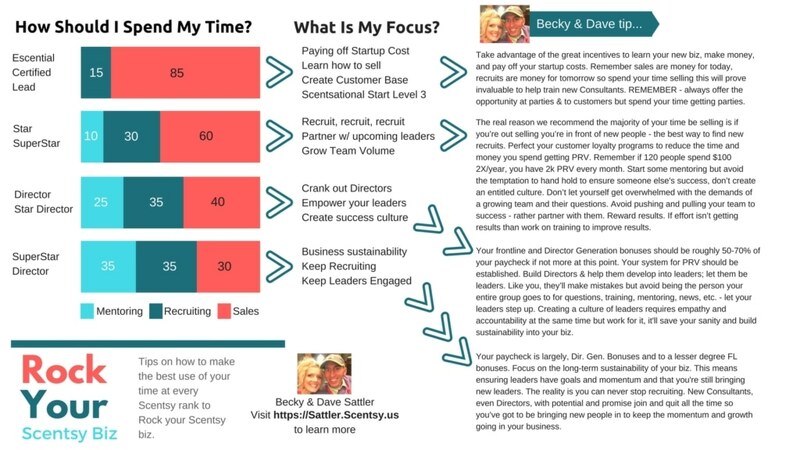 So based on our own experience, we put together the below information to give our amazing team of Scentsy Consultants tips on where to focus at each rank. Take advantage of the great incentives to learn your new biz, make money, and pay off your startup costs. Remember sales are money for today, recruits are money for tomorrow so spend your time selling this will prove invaluable to help train new Consultants. REMEMBER – always offer the opportunity at parties & to customers but spend your time getting parties. The real reason we recommend the majority of your time be selling is if you’re out selling you’re in front of new people – the best way to find new recruits. 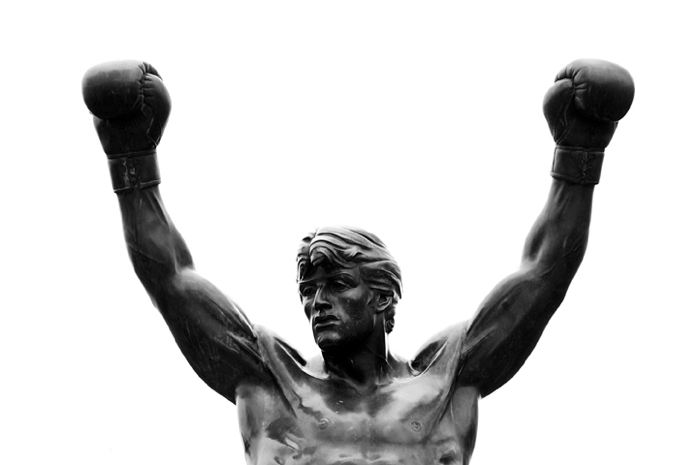 Perfect your customer loyalty programs to reduce the time and money you spend getting PRV. Remember if 120 people spend $100 2X/year, you have 2k PRV every month. Start some mentoring but avoid the temptation to hand hold to ensure someone else’s success, don’t create an entitled culture. Don’t let yourself get overwhelmed with the demands of a growing team and their questions. Avoid pushing and pulling your team to success – rather partner with them. Reward results. If effort isn’t getting results than work on training to improve results. Your frontline and Director Generation bonuses should be roughly 50-70% of your paycheck if not more at this point. Your system for PRV should be established. Build Directors & help them develop into leaders; let them be leaders. Like you, they’ll make mistakes but avoid being the person your entire group goes to for questions, training, mentoring, news, etc. – let your leaders step up. Creating a culture of leaders requires empathy and accountability at the same time but work for it, it’ll save your sanity and build sustainability into your biz. Your paycheck is largely, Dir. Gen. Bonuses and to a lesser degree FL bonuses. Focus on the long-term sustainability of your biz. This means ensuring leaders have goals and momentum and that you’re still bringing new leaders. The reality is you can never stop recruiting. New Consultants, even Directors, with potential and promise join and quit all the time so you’ve got to be bringing new people in to keep the momentum and growth going in your business. Life as a Scentsy Consultant can be a lot of fun with the flexibility, time off, free trips, and unlimited income potential but, like any job, there is a learning curve. We hope that this helps give an idea of one way to achieve the success you’re looking for as a Scentsy Consultant. 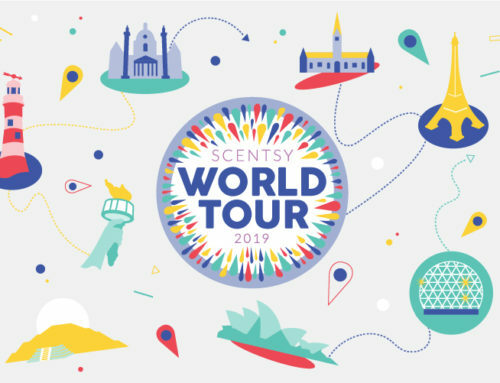 If you’re not a Scentsy Consultant but you’ve always thought about being your own boss or launching your own business let me invite you to join my global team of Scentsy Consultants. We have amazing Scentsy Consultants in Mexico, Australia, New Zealand, Germany, USA, Canada, the UK and more. Now is a great time to join and launch your Scentsy business! To join, simply follow the link to join Scentsy and become a Scentsy Consultant!